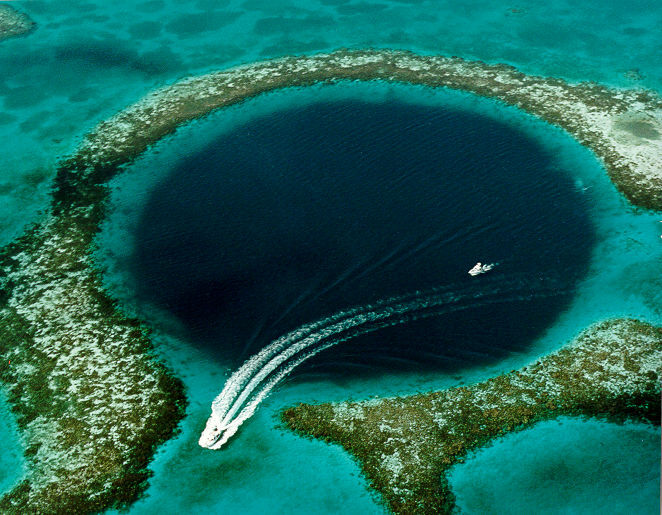 A blue hole is not just a hole that can be found in the sea. 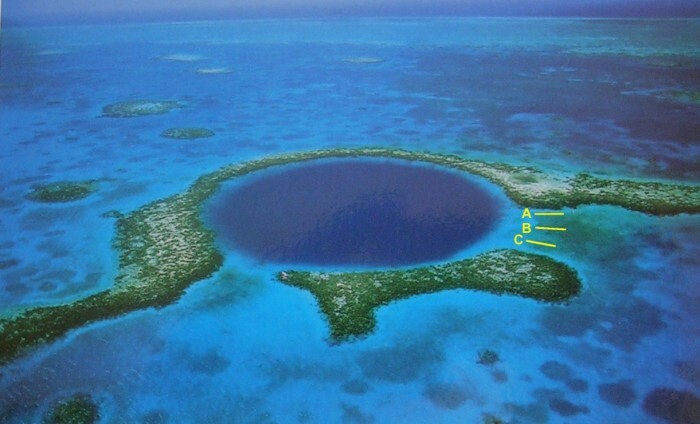 It is larger than a hole and that is why it is described as a vertical cave or a massive sinkhole that lies under water. 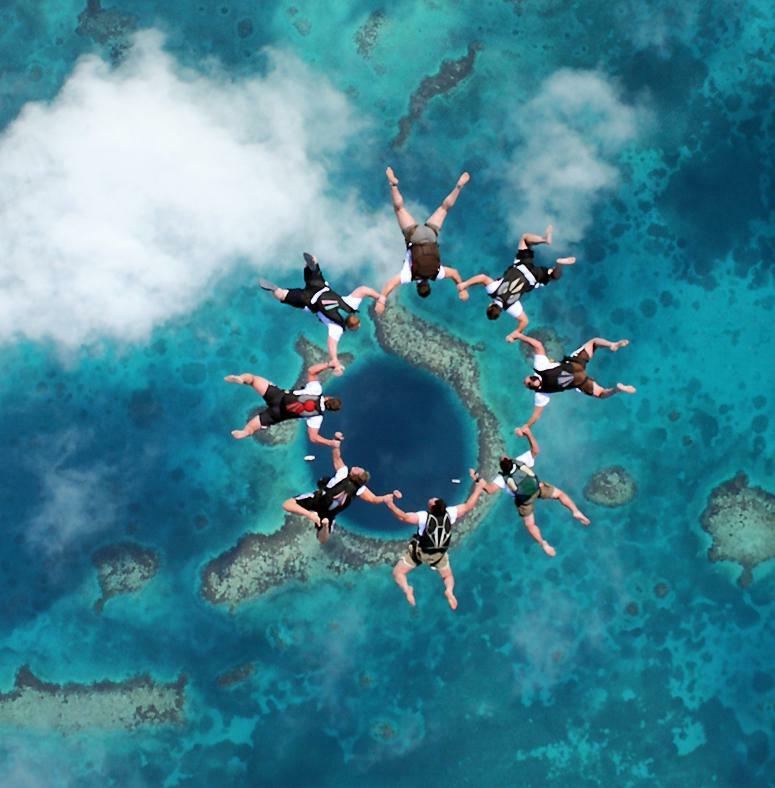 It is worth mentioning that it is not just one blue hole that exists in our world, but there are other blue holes around the world that allow you to enjoy seeing this natural and eye-catching phenomenon. 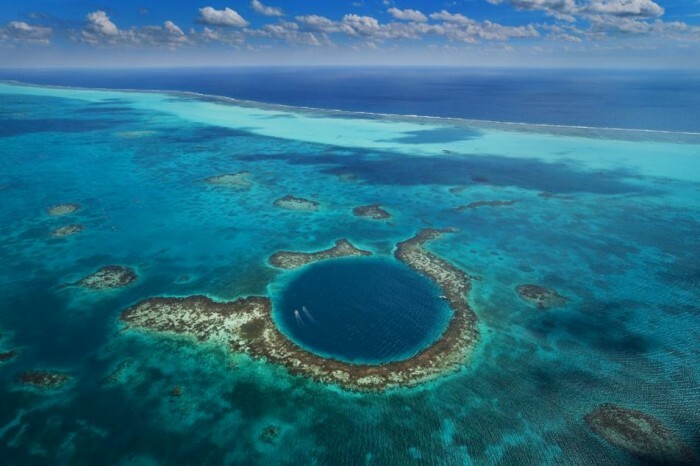 You can see these blue holes in the Bahamas, the Great Barrier Reef in Australia, Belize, Guam and it can be also seen in the Red Sea that is located in Egypt and is visited by most of the tourists. 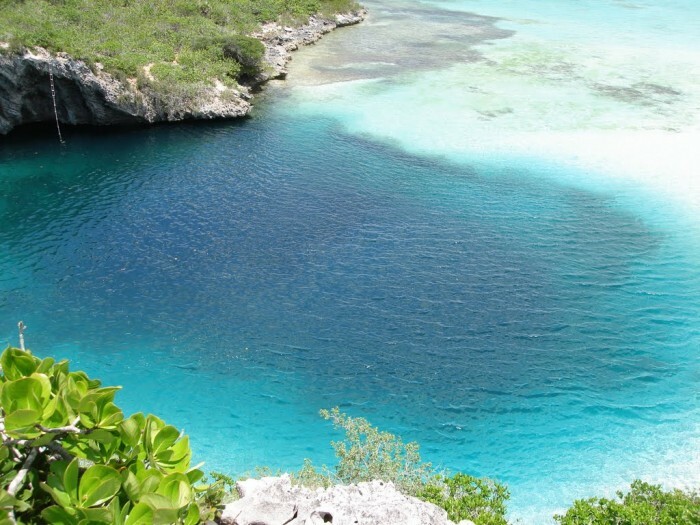 Most of the places in which the blue holes can be found are considered to be low-lying coastal places. 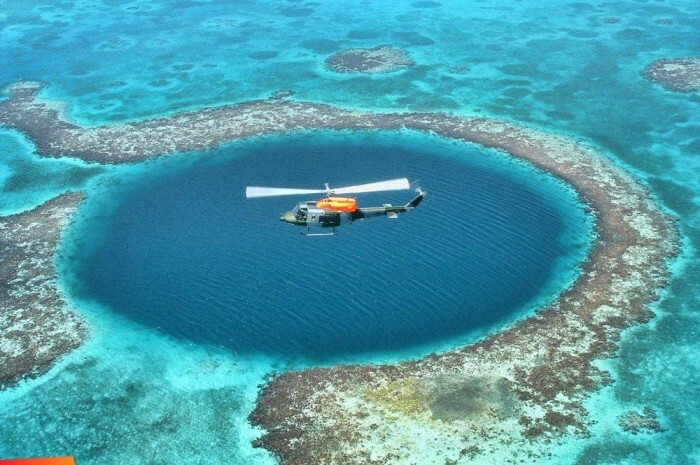 These blue holes appear to be circular and their waters are deep. 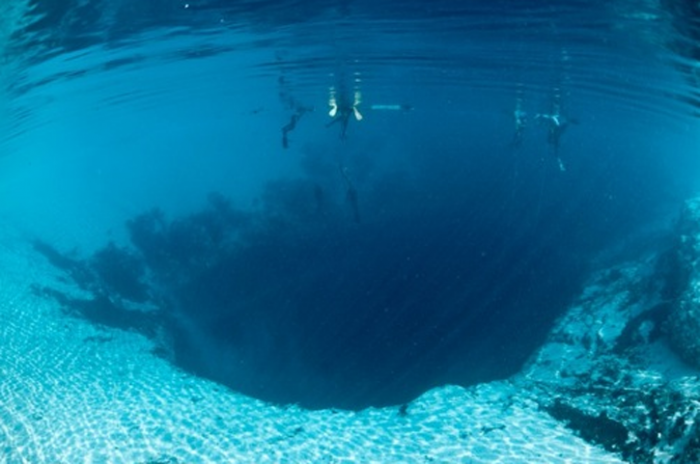 What makes these blue holes strange is not that they are only deep, but they are deeper than the surrounding area which is shallow. 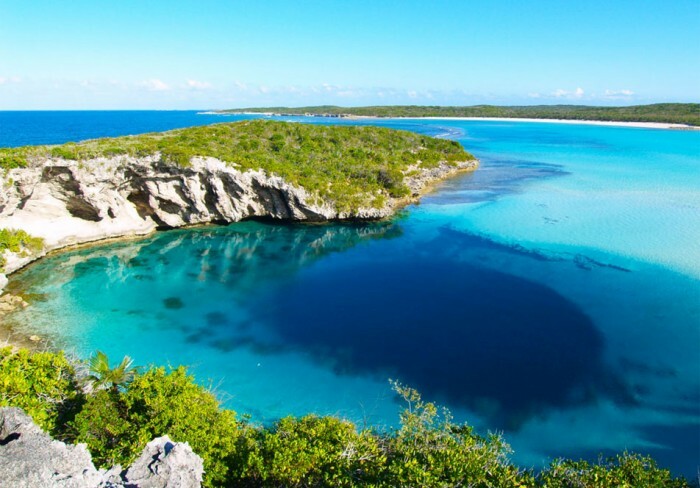 The blue color of the water in the blue holes is darker than the color of the surrounding water and this is another thing that makes these blue holes weird. 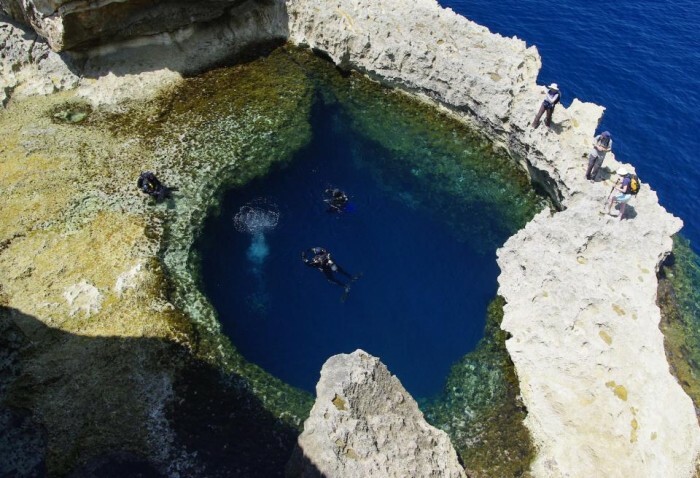 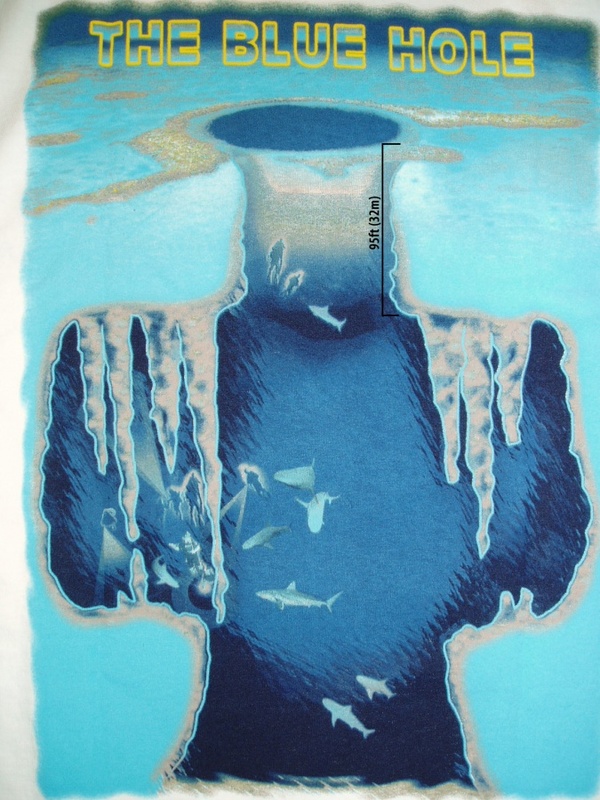 The dark blue color of water in the blue holes results from the carbonate sand which is brightly white and the water itself which is highly transparent. 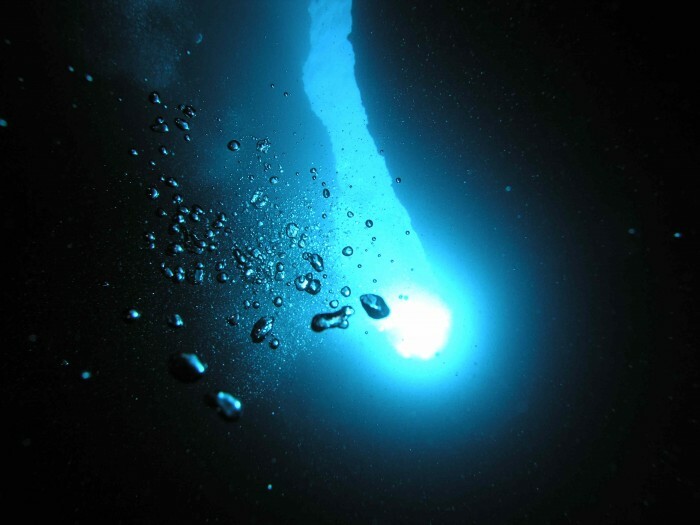 The depth of the blue holes differs from one to another. 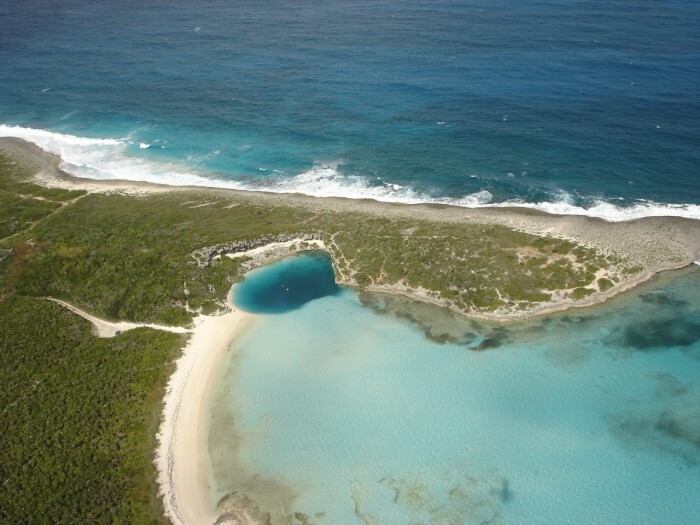 The deepest blue hole in the world is called Dean’s Blue Hole and it can be found in Clarence Town, Long Island, Bahamas. 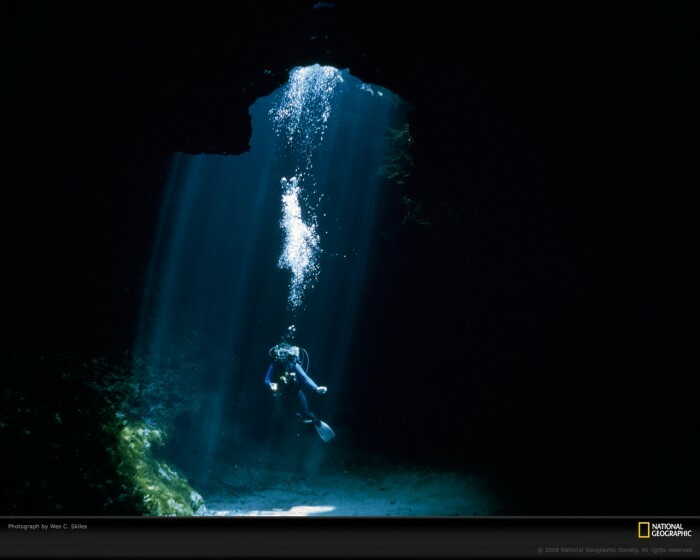 Its depth is 202 m or 663 ft while the approximate diameter of its top entrance ranges form 25-35 m which is about 82-115 ft. 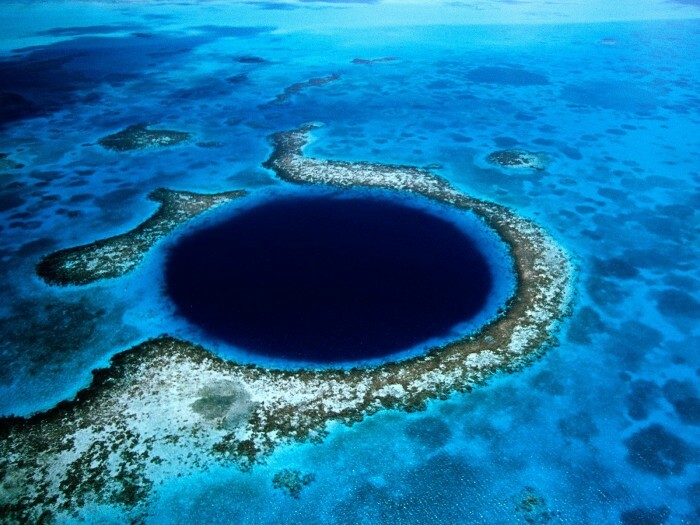 The blue hole that has the largest diameter for its top entrance is the Great Blue Hole that is located in Belize as its diameter is about 300 meters which means 980 ft. 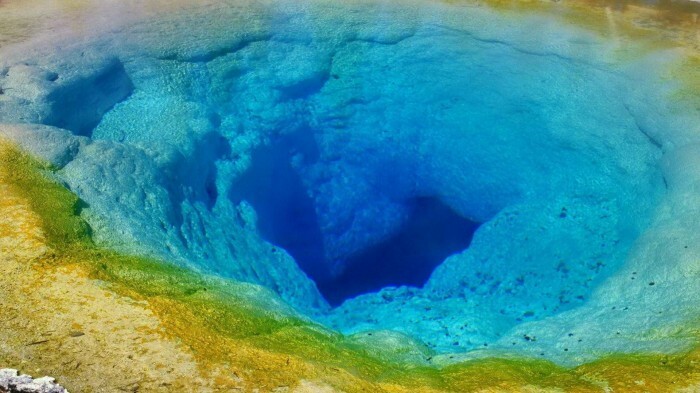 Forming these blue holes returns back to the ice ages. 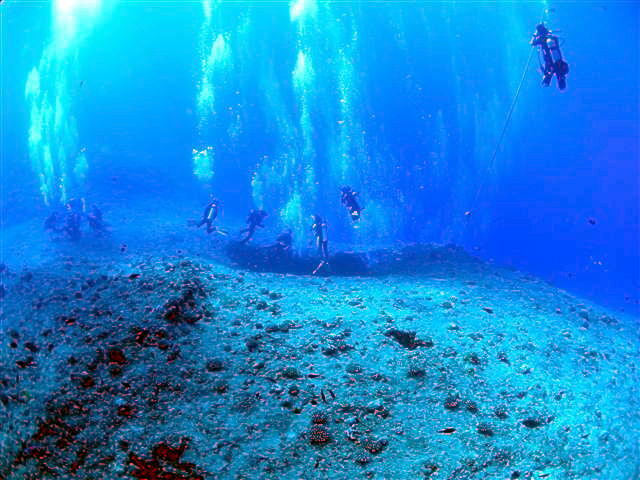 During those ages, the level of the sea was approximately 100-120 meters lower than it is at our present time. 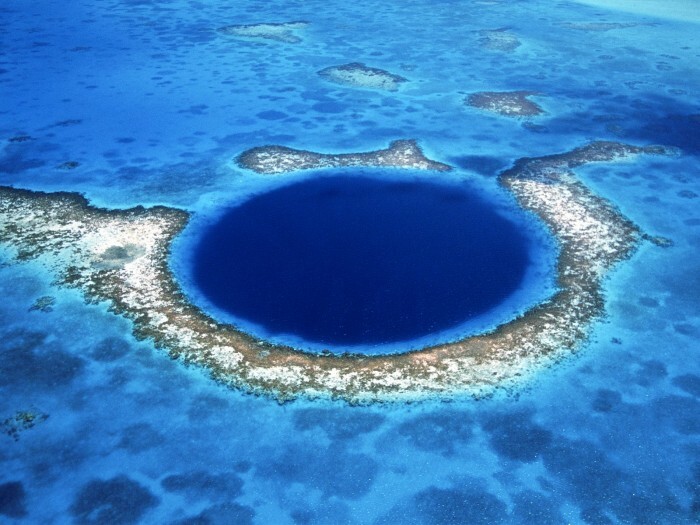 The main cause of forming these blue holes is erosion that results from rain and chemical weathering. 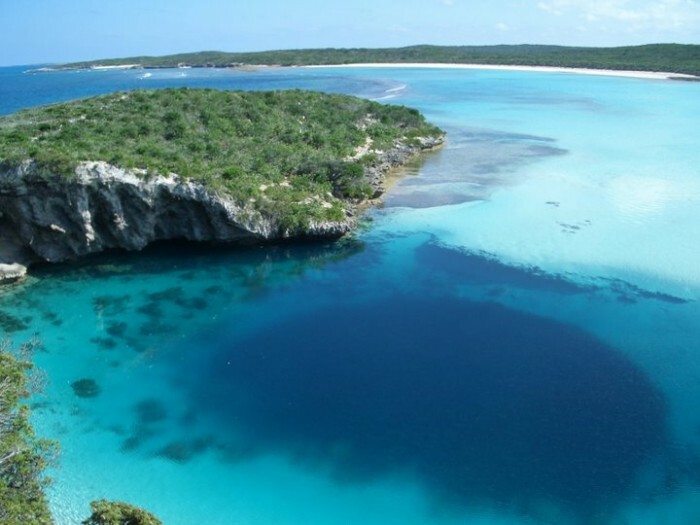 Freshwater and saltwater can be found in most of the blue holes that exist around the world. 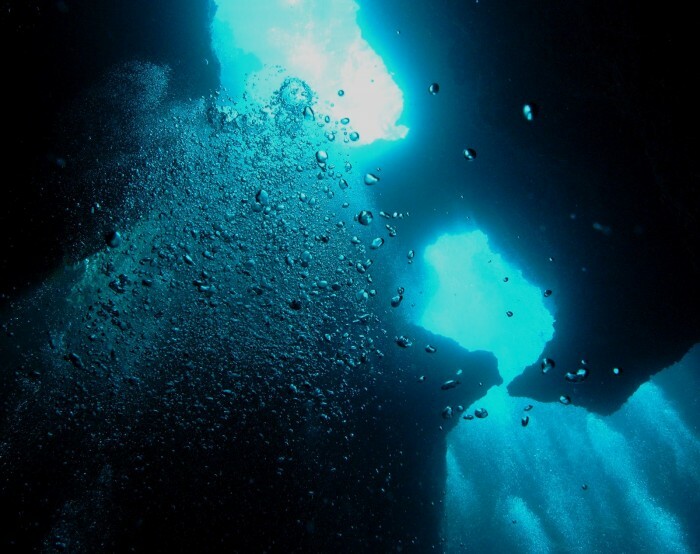 The freshwater and saltwater meet at a point in the blue holes that is called halocline and this leads to a corrosive reaction that eats away at the rocks and forms side passages or what is called horizontal arms that extend from the vertical cave. 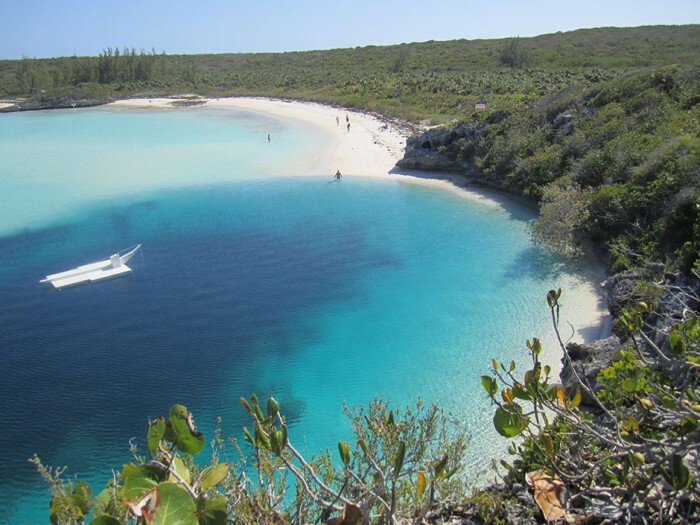 The side passages or horizontal arms can extend to approximately 600 meters long or more and this can be found in Sawmill Sink in the Bahamas.